Grab the bongos and get ready to samba! 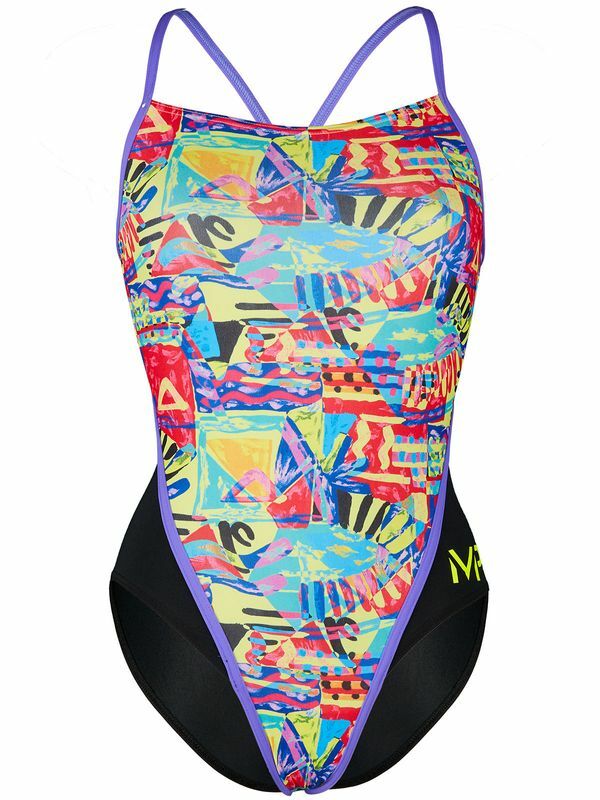 The Michael Phelps Riviera Racing Back Women’s One Piece will have you ready to dance. With vibrant splashes of sunshine yellow, tangerine, ruby, cobalt, and sapphire, this bold one piece features cerulean accent straps and bold charcoal colour blocks over the hips with a golden Michael Phelps logo at the hip. Constructed by Michael Phelps and Coach Bob Bowman, the Michael Phelps Riviera Racing Back Women’s One Piece is a swimmer’s dream come true. Flawlessly constructed with 100% chlorine resistant Polyester Aqua Infinity fabric, this one piece can stand up to countless hours in the pool!